Landing a table at this longtime Silver Spring favorite on weekends should be an Olympic sport, but smart diners arrive here before the restaurant opens at 11am to secure a spot. 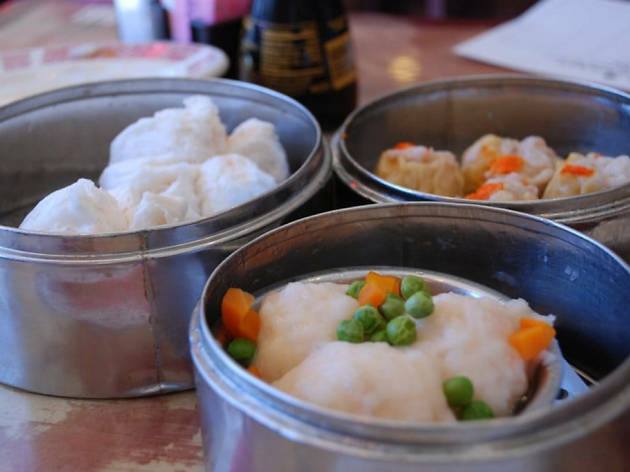 Carts roam the dining room on weekends and holidays with such delicacies as radish cakes, shumai and sweet rice with Chinese sausage. 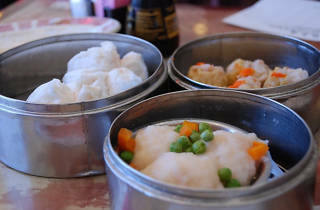 On weekdays, you’ll have to forego the cart experience since the dim sum is only offered from the menu.